Offering you a complete choice of products which include industrial air handling unit. 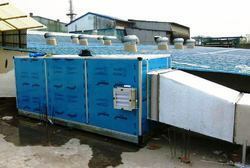 We offer Industrial Air Handling Unit in different designs and capacities. These products can be custom manufactured as per buyer’s specifications. Our air handling units have modular design and they are a perfect fabrication of sturdy construction and flexible combination of components to meet the application successfully. The Air Handling Units we offer are widely used in different industries and commercial sectors.